Konami has been adamant about supporting its Pro Evolution Soccer franchise. The company has promised more authentic clubs and better gameplay. As the weeks roll on towards launch, each announcement seems to be proving just that. This week, Konami has announced additional partnerships, a new ambassador and cover for PES 2019. First, if you didn’t notice by the feature trailer above, Radamel Falcao has been announced as a new ambassador. Falcao joins the likes of Pierre-Emerick Aubameyang, Mesut Özil and Gabriel “Gabigol” Barbosa. 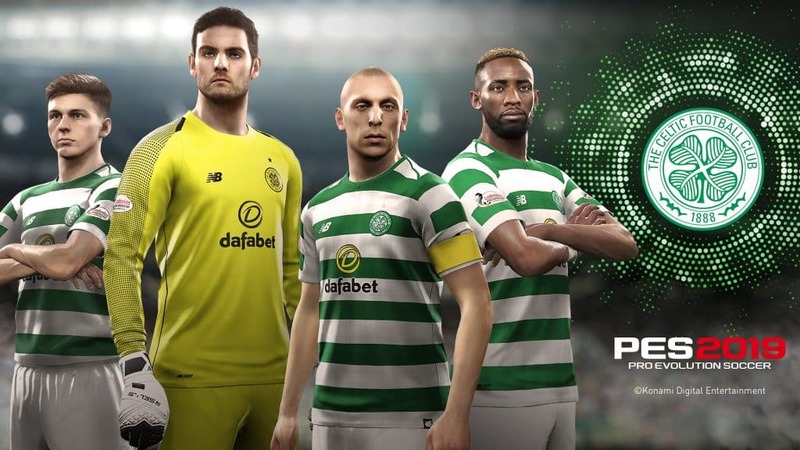 Konami has announced current Scottish Premiership Champions, Celtic, as its latest partner club for the upcoming PES 2019. Additionally, they have committed to producing a special, limited club edition of the game. The development team has stated they will be giving the club full 3D scan treatment. That means the squads and the stadium will be recreated perfectly in game. You can grab them via download after launch. It doesn’t stop there. Furthermore, the club will come with the complete Scottish Premiership. This is a first time for the Pro Evolution Soccer series. Also, all twelve teams will be sporting their official kits and iconography. They will also be updated via weekly data packs to ensure the league stays up-to-date. However, due to Celtic’s massive contribution, there will be a CEltic themed special edition of the game. Unfortunately, only 1000 copies will be distributed, so supplies are limited. On the last day of July, Konami also revealed its partnership with the Rangers. Also, to commensurate the deal, they’ve decide on a Glasgow Club themed and limited special edition of PES 2019. After securing the Scottish Premiership, Konami partnered with the Rangers to ensure authenticity. This includes the Rangers’ club, its stars and the iconic Ibrox Stadium. Additionally, Konami plans to have PES branded area within the ‘gaming zone’ at Ibrox Stadium. 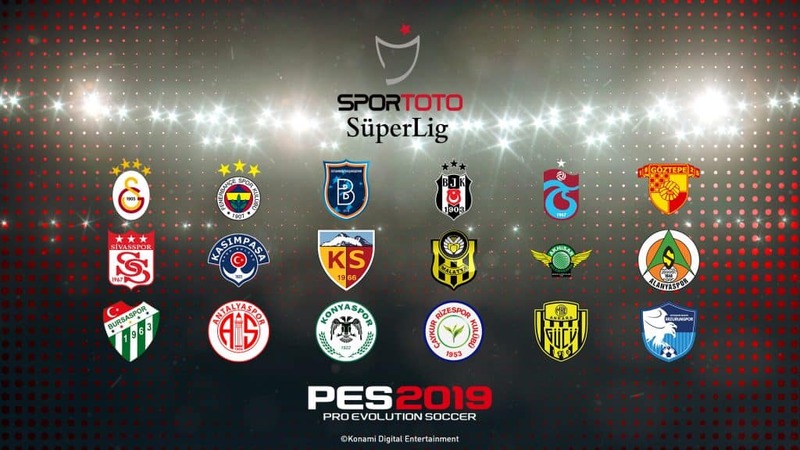 Among the other huge partnerships, Konami also unveiled its partnership with Turkey’s Süper Lig. This will be a first time appearance for the franchise. The new deal will see all 18 participating clubs represented in Pro Evolution Soccer 2019. Like the others, each will have its authentic iconography unique to Turkey’s Süper Lig. In addition, the game will feature their correct kits and update stats through post-launch data packs via download. Turkish midfielder, Hakan Çalhanoğlu, has also signed on as an ambassador for PES. He will be featured in local promotions and media events alongside PES 2019 global cover star, Phillipe Coutinho. Pro Evolution Soccer 2019 will be available on PlayStation 4 and Xbox One August 28 in the Americas. The game will hit global markets and PC on August 30. There will be two physical editions available: one featuring Phillipe Coutinho for standard copies and the other David Beckham for special edition.